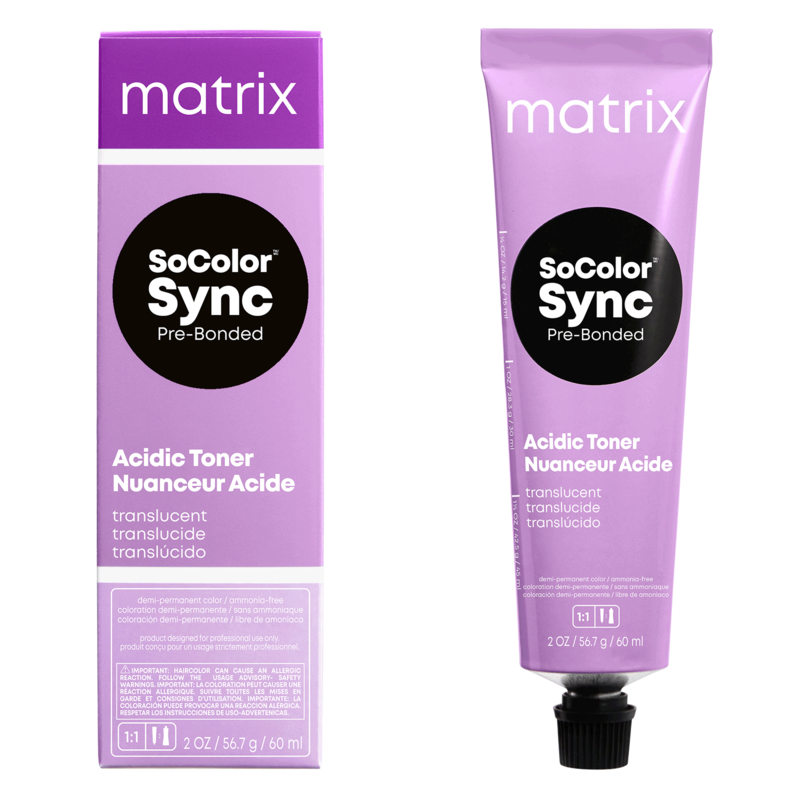 Matrix Color Sync Sheer Acidic Toners. Cooler, longer-lasting, high-shine blondes.Experience Color Sync in an acidic basefor pure, deposit-only toning. Now, blondes can go beyond toning, and get a sheer and lasting taste of color with reflective shine. Apply to dry or towel dried hair using a virgin, retouch, or creative placement. Process for up to 20 minutes.